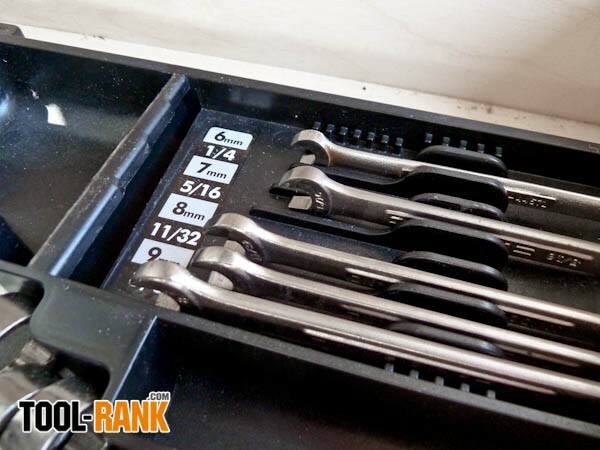 Many people turn to tool chests to organize their tools, but how organized can loose tools be when they are floating around in large drawers? 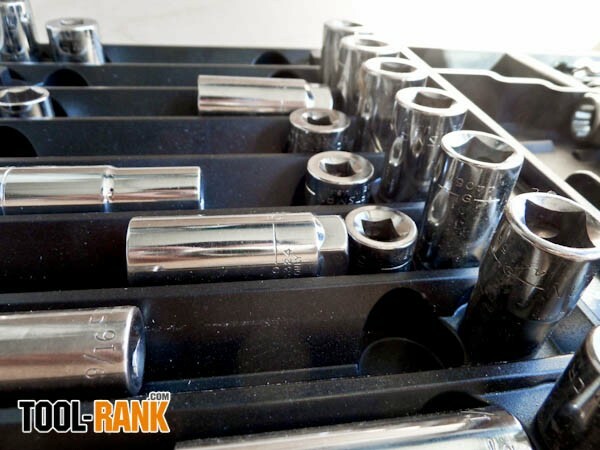 Tool chests might be one step in the organization process, but the Get Sorted Trays from Sky Leap are meant to complete the process. 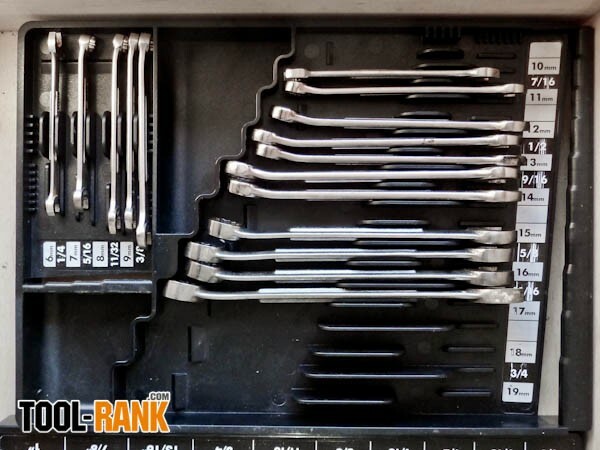 Sky Leap sent me their Wrench and Socket Organizing Trays, but they also make trays for Screwdrivers and Pliers. Each of the tray organizers I reviewed sort both Metric and SAE Wrenches or Sockets by size, which makes it easy to find the one that fits when you are unsure of its numerical size. 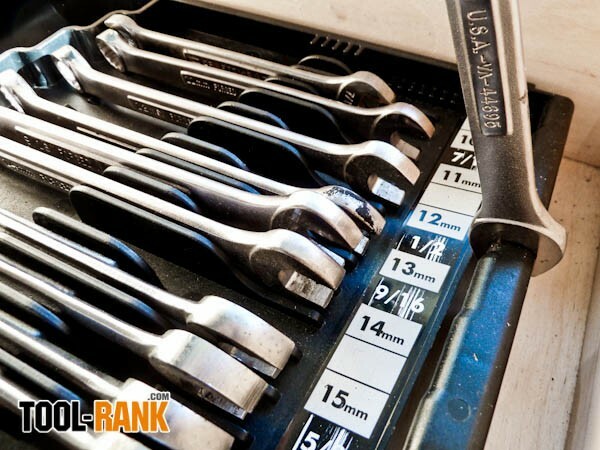 When you can’t read the measurements on the wrench or socket, each tray has built in measurement gauges that help you put them back in the correct order. The Socket Organizer sorts Metric on one side and SAE on the other with a slot between the two that can hold longer versions of each. Sizing knobs ensure that sockets get in the correct space by acting as measuring gauges; simply find the knob that fits and that is where the socket should go. If you already know the size or you are looking for a specific size, you can use the easy to read labels. 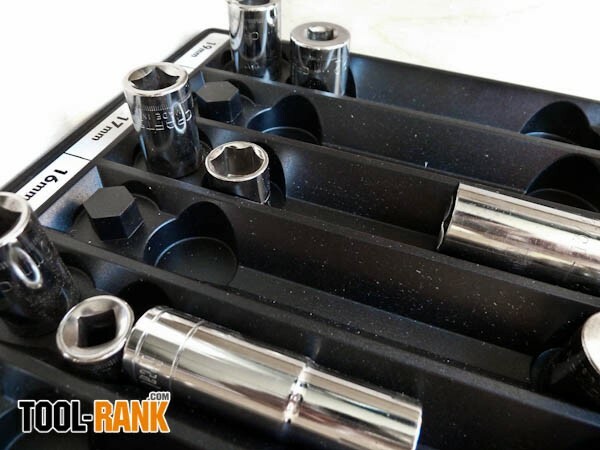 The tray can organize Metric sockets from 10mm to 19mm and 3/8” up to 1”. So while it can hold a good chunk of my sockets, I have many that are smaller than 10mm that it just couldn’t hold. Also, it would have been nice to have an area or a tray that organizes the socket wrenches. 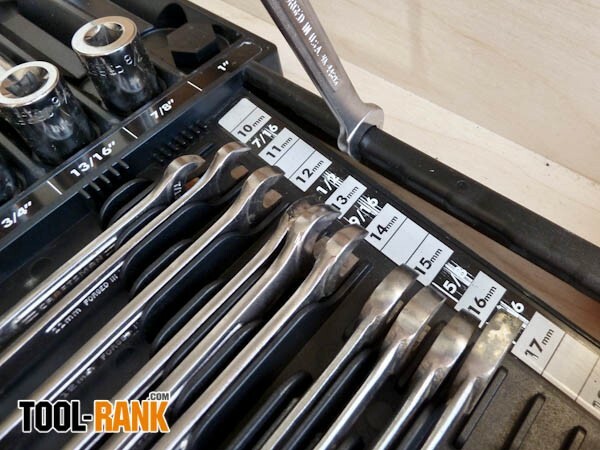 The Wrench Tray organizes both Metric and SAE together, sorting them by size. This might be a problem for those who like to keep them separate, but it doesn’t really bother me. Again, the labels are easy to read and they are color coded for both types. 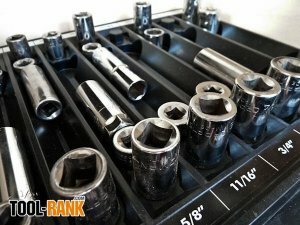 The Wrench tray uses a size gauge that you slide the wrenches on to determine their size, and while this is a good idea, I didn’t find it to be as accurate as the gauge for the sockets. Sliding a wrench on the gauge often placed it one size off according to the labels. 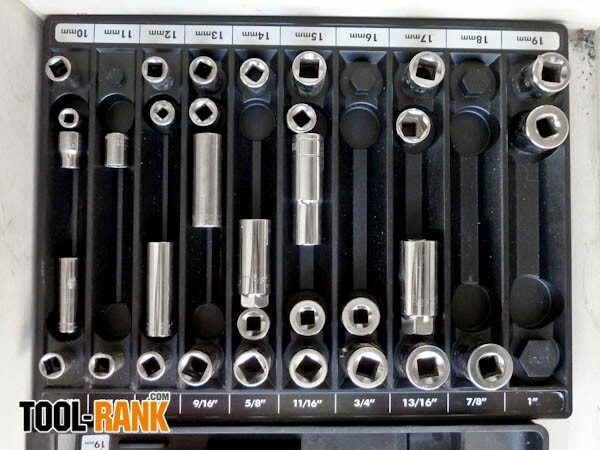 This tray holds up to 28 wrenches from 7mm-1/4” up to 19mm-3/4”. By holding the wrenches on their sides they were really able to optimize the wrench tray, which even left a little room to hold the nuts and bolts you remove. I don’t even own enough wrenches to fill it up. Overall I like both trays and I think the ABS plastic will hold up well over time, but they are not perfect. 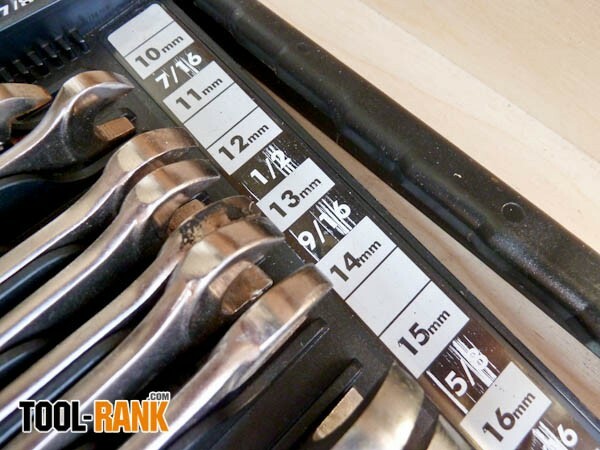 The gauge on the Wrench Tray is not accurate enough, so you will have to read the measurements if you want to get them in the right slots. The Socket Tray holds a lot, but there was no place to store my smaller sockets. I am also worried about how the labels will hold up over time; as you can see in the photos, the markings are already starting to come off. If Sky Leap could fix these small issues I think they would have a great product. I should also mention that these trays are not well suited to be taken outside of your drawers.